Things that are colourful seems to always catch the eyes of many and arouse the appetite more. 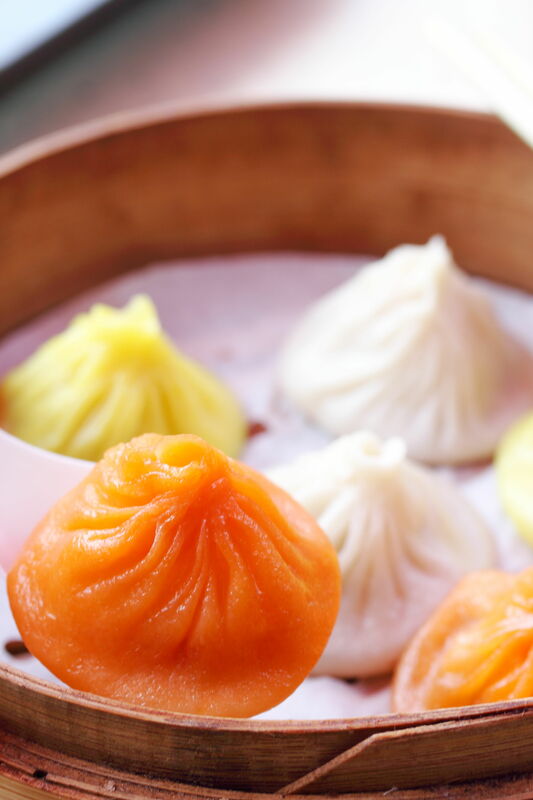 When Paradise Dynasty introduced the colourful xiao long bao, it caused a new hip in the Chinese culinary scene with many follow suit. I have even tried coloured Har Gow from Mouth Restaurant too. 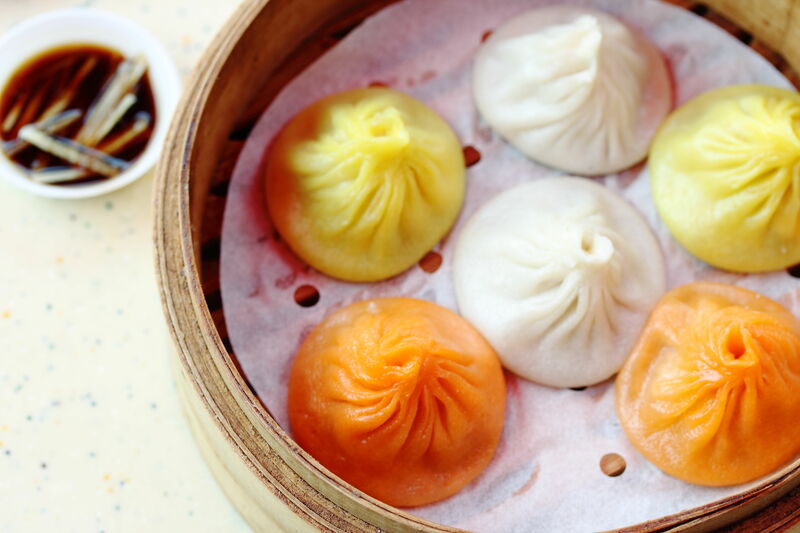 Probably taking the inspiration from these restaurant's chef, one such hawker at Tiong Bahru Market & Food Centre, the Extreme Xiao Long Bao (至尊小笼包) has created their own twist of the traditional snack. I tried the Mixed Xiao Long Bao ($5) which is steamed upon order with six delectable bites of them in the steamed basket. 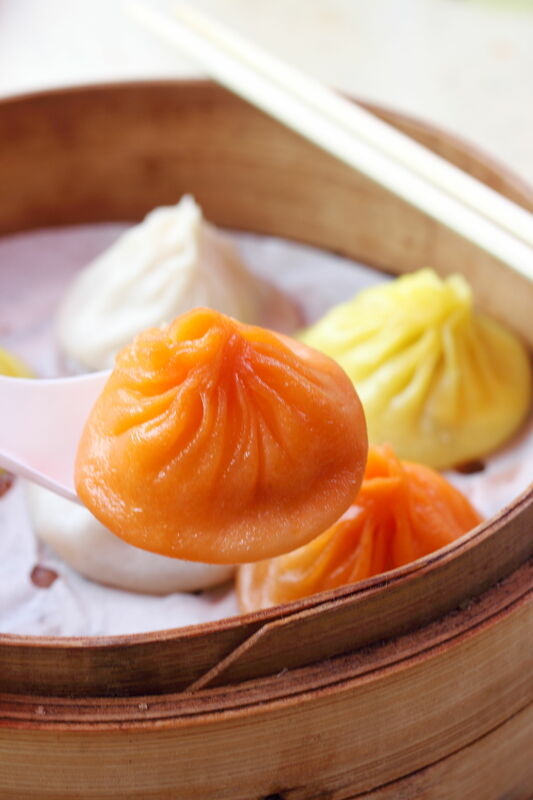 There are two Traditional Xiao Long Bao, two Salted Egg Yolk Xiao Long Bao in orange colour and two Cheese Xiao Long Bao in yellow. My followers and readers will know that I like salted egg yolk, I am here specially for this after hearing from a friend that Extreme Xiao Long Bao serves Salted Egg Yolk Xiao Long Bao. I really think it is an interesting concept. After tasting it, it did have a hint of the salted egg yolk flavour but not robust enough for me to go wow. The other interesting creation is the Cheese Xiao Long Bao. This is somewhat confusing as I could not really taste anything cheesy. It is more inclined to the traditional taste. 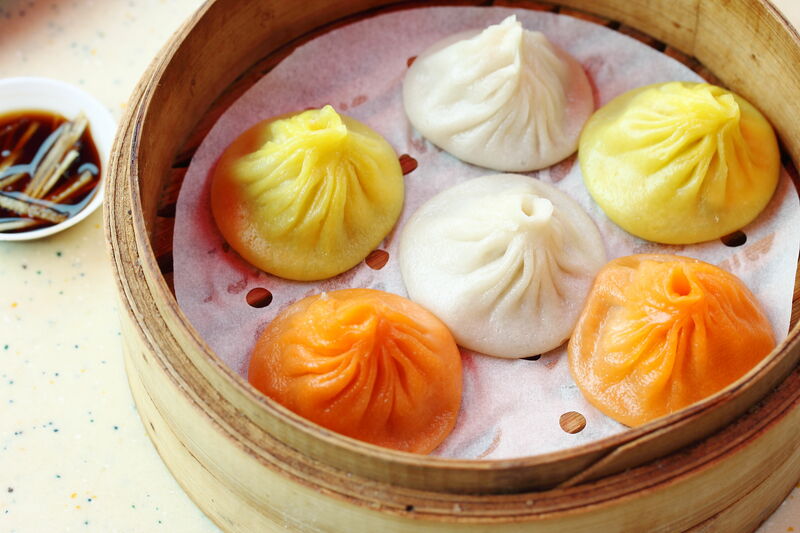 The standout definitely has to be the Traditional Xiao Long Bao. A nice balanced between the minced pork filling and broth. The broth was not too sweet unlike so that I have tried allowing one to enough the marinated pork filling while the subtle broth giving it a lift in flavour. Overall I can't say Extreme Xiao Long Bao is the best in town but it definitely offers a mix of varieties which is value for money. I probably go back for the traditional and salted egg yolk, giving the cheese xiao long bao a miss.